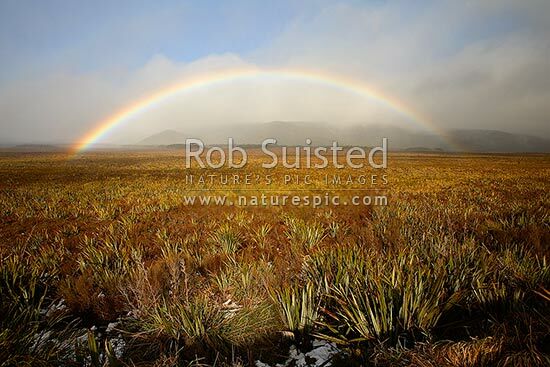 Winter rainbow over the Mahuia wetland flax swamp. Tongariro National Park. Mt Ruapehu in cloud, National Park, Ruapehu District, Manawatu-Wanganui Region, New Zealand (NZ), stock photo.